You are here: Home » Ode to Austria Hits Chicago! Ode to Austria Hits Chicago! Hold on to your fedoras Chicago because the ODE TO AUSTRIA presented by the SUMMER OF RIESLING is about to hit town in an all-out, three-day festival featuring AUSTRIAN RIESLING and only Austrian Riesling at great events ranging from wine dinners to a special concert to an Austrian-inspired brunch set with tastings, movie screenings, and more in between! After a successful Austria Uncorked tasting in Chicago, how could we resist taking over the entire city in the name of RIESLING for an entire weekend? As if that’s not excitement enough enter The Austrian Wine Queen, Elisabeth Hirschbuechler who will be onsite throughout the three-day affair (and before!) for meet and greets, tasting, and to raise a glass of Riesling in honor of all things AUSTRIA! Austrian Riesling Dinner Tastings in 10 Chicago restaurants. **Please check back periodically for updates on locations and times – we’ll reveal them in due time! Don’t worry NYC – we have some things planned for you too… stay tuned! 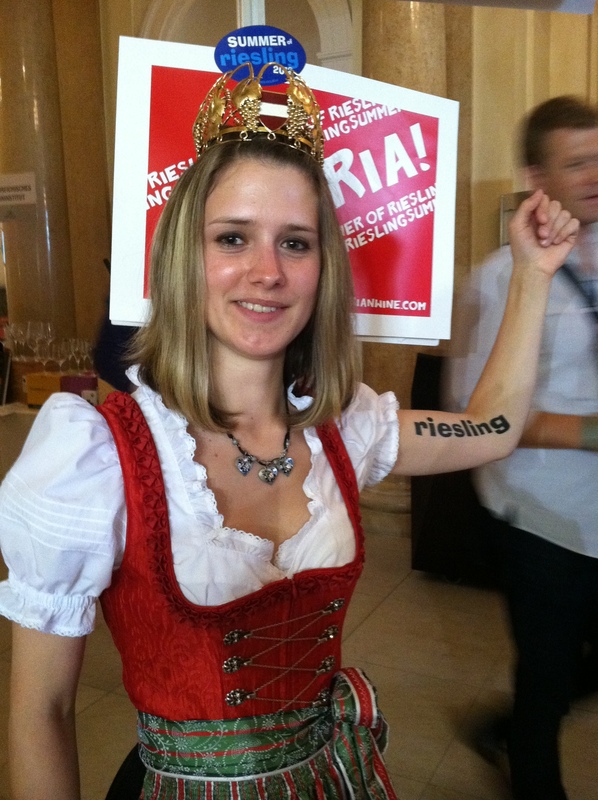 And don’t forget to get into the spirit with some of this great AUSTRIAN RIESLING merchandise!